Why Dog Puzzles Are The Perfect Replacement For Rawhides! The Toxic Chemicals In Rawhides And Many Other Chews. As a longtime dachshund mama and auntie, I have never stopped marveling at how a single subspecies (Canis lupus familiaris, in case you’re interested) has managed to produce such a jaw-dropping variety of different dog breeds. It is really quite amazing. 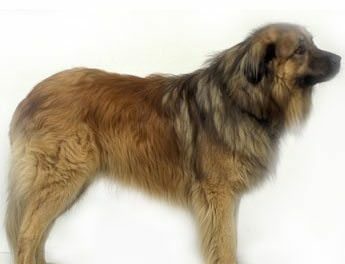 But over the years, I have also learned that one thing does not change across breeds – ever. 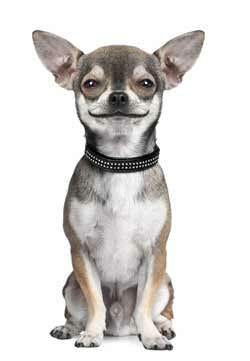 From “teacup” Chihuahuas to giant Great Danes, all dogs need to be challenged in brain as well as in body if they are to live truly fulfilling lives. The rawhide has long been touted as a natural canine dental aid and stress reliever. But today’s dog parents (and their veterinarians) are now starting discover why chewing on rawhide toys may actually be doing more harm than good. To use this analogy, giving your dog rawhide is like giving yourself sushi – it tastes delicious, at least until someone gets poisoned. 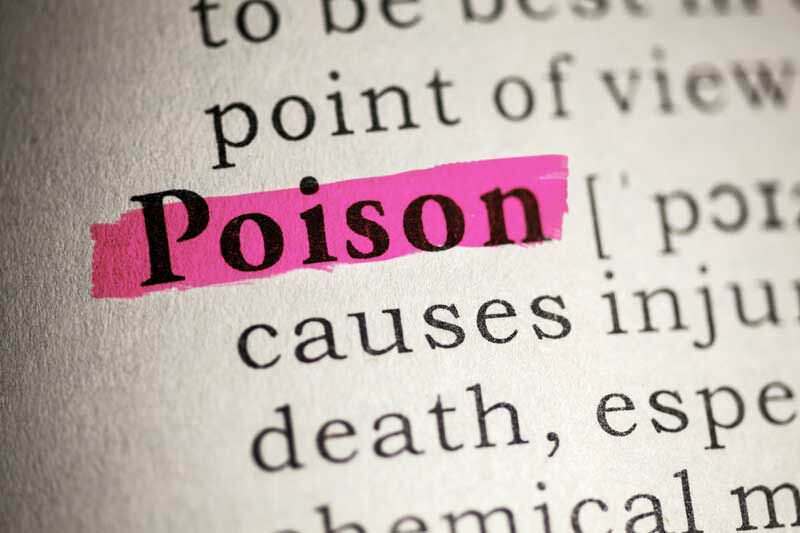 Your worst nightmare would be poisoning your dog. Giving your dog a rawhide does just that. 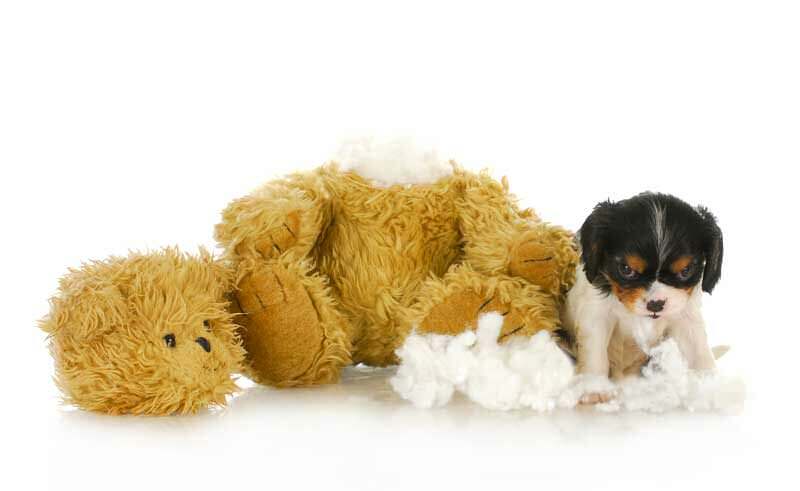 We did a little digging to find out just what is in the average rawhide dog toy. The inside lining of an animal hide (cow, horse, sheep, pig, et al). Flavoring (usually natural or artificial chicken, beef, liver with natural or smoked flavoring). Cleaning solution: Ash-lye, bleach, formaldehyde, hydrogen peroxide, arsenic (much more likely if the toy is imported). Bacteria. E.coli, salmonella, and other trace bacteria (again, much more likely if the toy is imported and/or is not refrigerated during transport). All of these ingredients are then mashed and smashed together by powerful machines to form different appealing shapes such as bones, ropes, rings, sticks and chips. so why would you give them in rawhide form? I wouldn’t eat something that I knew had bleach and formaldehyde in it. 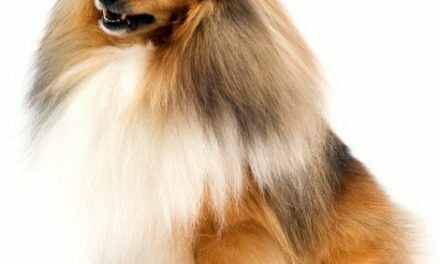 It is true that, like Cheetos for you or gummy bears for your kids, rawhide sure can taste good when your pooch is craving some anxiety-reducing “comfort food.” But the ingredients of rawhides (unlike even the worst human “junk food” treats) is not meant to become food, which is where the real dangers can lurk. If your dog is powerful – or simply determined – enough, many rawhide toys make it relatively easy to rip off and swallow small strips. As the chewing, chewing, chewing continues and the formerly tough treat is masticated into a wet pulpy mush, those small strips can turn into bigger chunks that get readily wolfed down. These chunks, once ingested, can then transform themselves into esophageal tears, bacterial infections, intestinal blockages, surgery and sometimes death. No dog parent wants that (no dog does either). 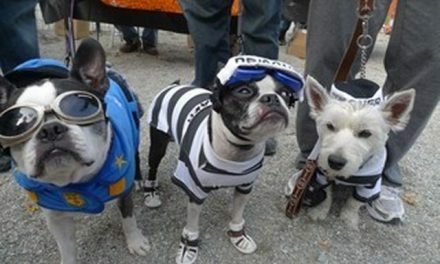 Seriously, these things are horrible for dogs. You Have Great Options For Your Dog. Substitute specially formulated dental chew treats in place of dry kibble or other treats as rewards in treat-based interactive puzzle toys. Choose a number of chew-based puzzle toys that are edible, interactive and safe and add them to our doxie’s regular rotation of toys. 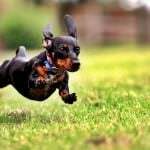 Because our last two dachshunds have been inveterate (over)eaters, we have found that taking this combination approach works best to keep the extra calories manageable while still retaining the teeth cleaning function. And these are way more fun for the dogs than you or I learning to brush their teeth. How to keep your dog occupied without using rawhides. If you want to try our approach, you will need some supplies. You will want to select some dental chew treats you can use as “bait” in your dog’s puzzle toys. Then choose some fun treat-based puzzle toys that are a match for your dog’s size and chew habits. First up – here are some vet-recommended chew treats we like! We love this dog puzzle and treat holder combination. The Nylabone line of chew-based toys continues to expand in order to appeal to dogs with different chew styles. The Romp n’ Chomp is part treat-holder puzzle, part edible dental chew treat. Here, it holds out hope of achieving both goals – an interactive dental-friendly treat with low calorie impact. 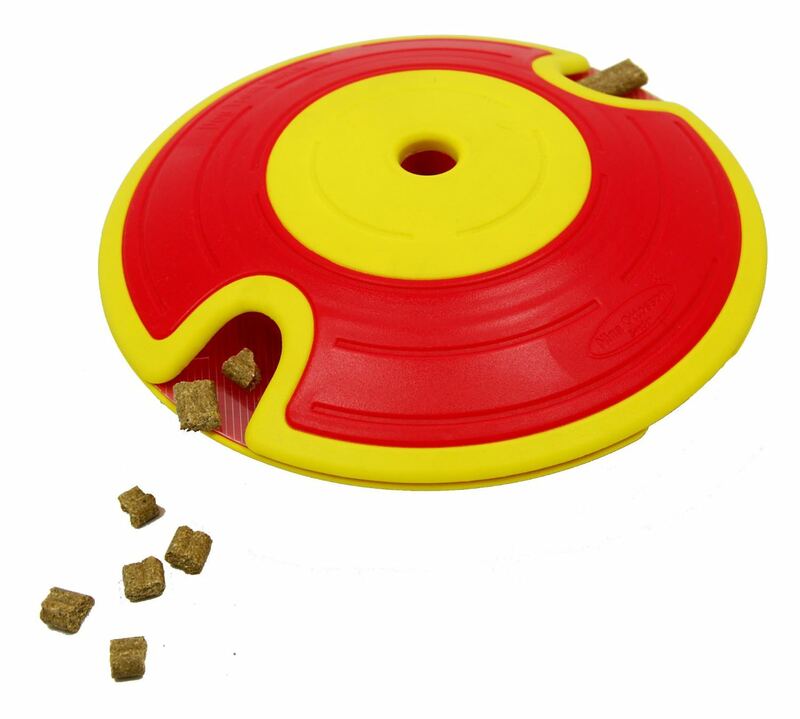 Romp n’ Chomp comes in a number of designs, each of which can bounce, roll and/or spin to make it more challenging for your dog to nab the treats inside. 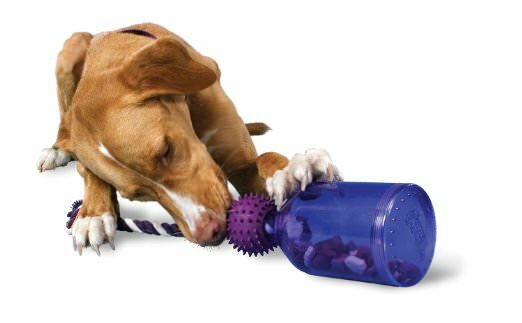 Different Romp n’ Chomp toys are sized for small, medium or large dogs, and each also offers refill treat kits so you never run out of dental chews. Our dogs love this one. I may admit to being a little (lot) biased here – but our dachshunds seem near-universally obsessed with squirrels. So it hasn’t been any great surprise that the Hide-A-Squirrel interactive toy has delivered hit after hit over the years. 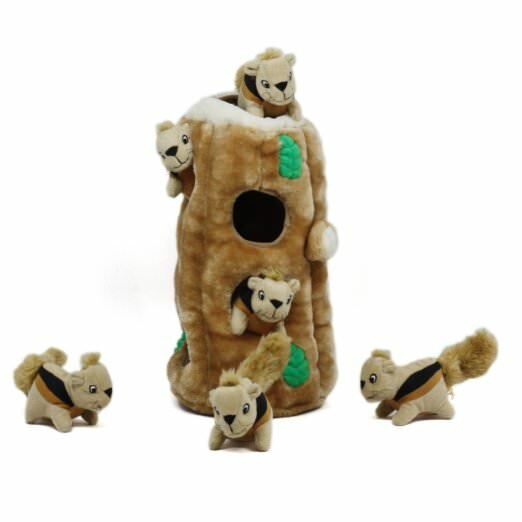 The Outward Hound Hide-A-Squirrel is a definite favorite among the crew here at Animal Hub. For one thing, it’s a super cute toy. I figure that if I have to have dog toys all over my living room floor, they may as well look cute. One of the nicest things about it is that it comes in two sizes, so if you’re like me and have a small dog breed, you can maximize their fun with this puzzle. It also works great if you need a dog puzzle for big dogs with their large option. When it comes to puzzles for little dogs, this is one of our favorites to keep your dog engaged and exercise their mind. and give them plenty of mental stimulation. Food based puzzle treats work great. Food-based training is a great way to train and motivate your dog. If your dog is food motivated, these puzzles use treats or kibble, and sometimes even whole meals, to give your dog an incentive to engage with the puzzle itself. For example, a food puzzle may present as a maze and your dog must nuzzle down between the inbuilt barriers to retrieve the treats or food. You can choose from super fun dog puzzles like the Aikiou Interactive Dog Bowl. One of the added benefits to food-based puzzles is that they encourage your dog to eat more slowly, which reduces digestive problems. Meal dispensing toys actually improve your dog’s health. Some dogs eat way too fast. There are tons of different opinions on the psychology of why they do this. The reason why isn’t the issue to conquer first. The most important thing to do if your dog is eating too fast is to slow them down. One way to do this is with a dog bowl that makes it more difficult to get the food and therefore slows your dog down. The main goal here is to block out the negative health impacts of eating too fast as soon as possible. Using a meal dispensing dog puzzle is one of the best options. We talk about Petsafe’s products pretty often and many of us here at Animal Hub use their products with our own dogs. Their Busy Buddy Tug-a-Jug not only slows down their eating but also provides a great interactive engagement tool to you. The whole goal here is improving your dog’s health. If we go back to the beginning, the whole goal here is to improve your dog’s health. Simply not giving your dog’s rawhides will improve their health, but you can improve it even more by what you choose to replace them with. A dog’s health is not just their weight and fitness level, it is important that you pay attention to exercising your dog mentally. That is why we recommend the Busy Buddy meal dispenser. 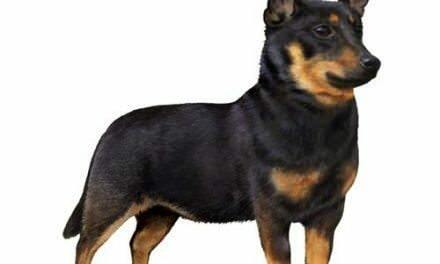 Any dog owner who is honest will tell you that there has been a time when they needed their dog to be occupied with something, especially when the dog is a puppy. 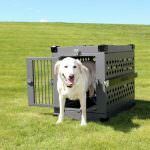 Many people turn to the crate for this, but that is really not what a dog crate is meant for. Using something to dispense meals slowly and make your dog use problem-solving can give you time to do something as simple as the dishes without having to put your dog in a crate. that the puzzle spits out rewards. Especially if it is your dog’s first puzzle, the above food-based puzzles are probably the direction you want to go. Your dog isn’t going to know to begin to try to figure out how to get the food out of the puzzle. Most of us teach our dogs that they can eat food we put in their bowl or treats we offer them. They can’t go into the pantry and start digging around figuring out how to get to food stored in there, though. So even when your dog smells the treats in the puzzle, he might not know right away that you actually want him to get them out. Has a strong odor. Your dog enjoys using his senses. By using a treat that has a strong smell, you increase your dog’s engagement and mental stimulation through engaging his sense of smell. Choose a reward with a lot of flavor. Remember that there are plenty of healthy dog treats out there that are also quite flavorful. Using a treat with a distinct flavor will increase the benefit of the reward. Dry and easy to clean up after. Using dry treats as our preferred method. If you use what food or peanut butter, unless your dog can lick every inch of it clean, it is going to dry in there. It is a way bigger hassle to have to clean a puzzle out that has dried peanut butter in it than one with just kibble. Is reasonably healthy. We keep coming back to this because it is the whole goal. If your dog is really food motivated, hopefully just using kibble will do the trick. But if not, there are a lot of dog treats out there that offer good supplements to your dog’s diet. If you are a frequent reader of Animal Hub, you probably know that a bunch of the team lives in Alaska. Unsurprisingly, one of our favorite healthy treats is Yummy Chummies, which are made from wild Alaskan salmon. There are different levels of difficulty available for dog puzzles. Don’t use the hardest one the first time. When it is the very first time your dog has used a puzzle toy, you will have better success if you don’t use one of the more difficult puzzles the first time. 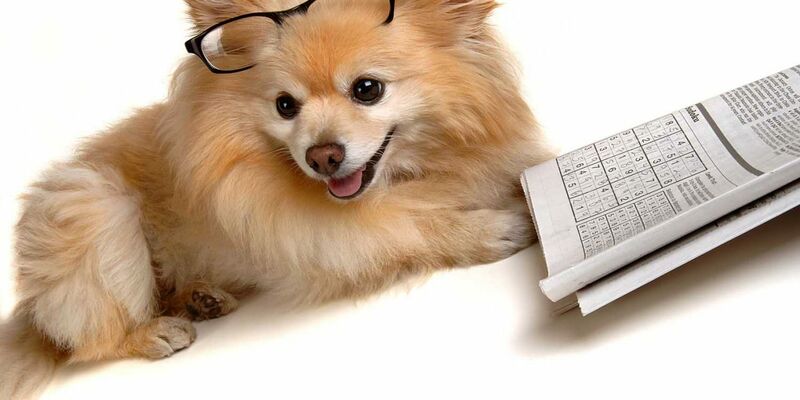 Some pooches’ brains are just wired for puzzles, so they will make nearly any puzzle look simple. For others, it may take longer to figure the puzzle out so an easier level of difficulty is ideal to avoid frustration. Just like how one person may approach solving a problem differently than another person, dogs do the same thing. An Australian Shepherd might blaze right through, while other dogs might take a more pensive, intuitive look at the problem. When you shop you will notice some puzzles are actually designed to help your dog increase their puzzle-solving skills. An example is Nina Ottosson’s popular treat puzzles, which features Easy, Medium and Advanced puzzle levels. Some of her puzzles also feature multiple settings options to change the difficulty level from easy to medium and so forth as your dog becomes more proficient. Most puzzles are designed to mimic fun interactive games you may already play with your pup, but ideally the puzzles can occupy your dog when you don’t have time to play. Does your dog seem afraid of the puzzle? Dogs that are fearful of new things have their reasons. 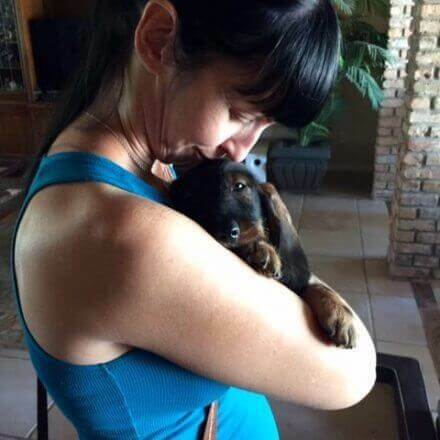 For some, it may just be a personality thing, but for rescue pups in particular, it may have to do with something that occurred in their past before they met you. Either way, your dog’s fear is something that must be respected. As you no doubt are already aware, you should never attempt to push or force your dog to interact with a puzzle toy (or anything, for that matter). First, choose your dog’s very favorite treat as an incentive. Next, choose a VERY simple puzzle, like a Kong filled with an easily accessible portion of treats. Make sure the puzzle you choose doesn’t make any unfamiliar noises or movements. Place the puzzle on the floor (preferably on a soft mat or carpet to muffle any startling noises) with the treat side facing your dog. Sit nearby and make soft, encouraging statements as your dog comes to investigate. From here, gradually increase the difficulty in getting the treat, from placing the opening away from your dog, to hiding a treat underneath the puzzle and even weighting the puzzle down with a heavier familiar toy. It may take just one session or several, but eventually your dog will become more comfortable interacting with the puzzle and in time may show no fear at all. You can definitely prevent your dog from destroying a new puzzle toy. At the other extreme, there is the chewer who sees everything as a jaw strength challenge. Here again, choosing a treat-based puzzle toy will be more likely to send a familiar message about which bits are meant to be eaten and which are (technically) not supposed to be chewed. 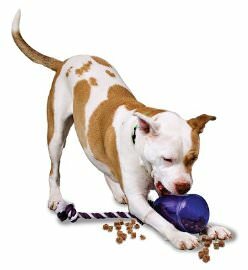 As well, introducing the puzzle toy just before or during meals is an excellent way to naturally train your dog to see the puzzle as a toy to be played with, not part of the menu. Pick a non-squeaker, non-stuffing puzzle toy (to avoid presenting dual temptations). Make sure your dog is hungry when you present the puzzle toy. Make the new puzzle the default treat and food feeder for a day or two (aka remove the regular food dish altogether and offer meals out of the puzzle instead). Pack the puzzle with an irresistible treat or meal item. Give your dog some time to figure it out. Don’t do it for your dog or take it away quickly if your dog doesn’t “get it” right away. Some of the smartest puzzlers may take a long time to get the hang of puzzling! If your dog decides on the straightforward (chew-based) approach, be ready with another toy and a command to reclaim the puzzle. 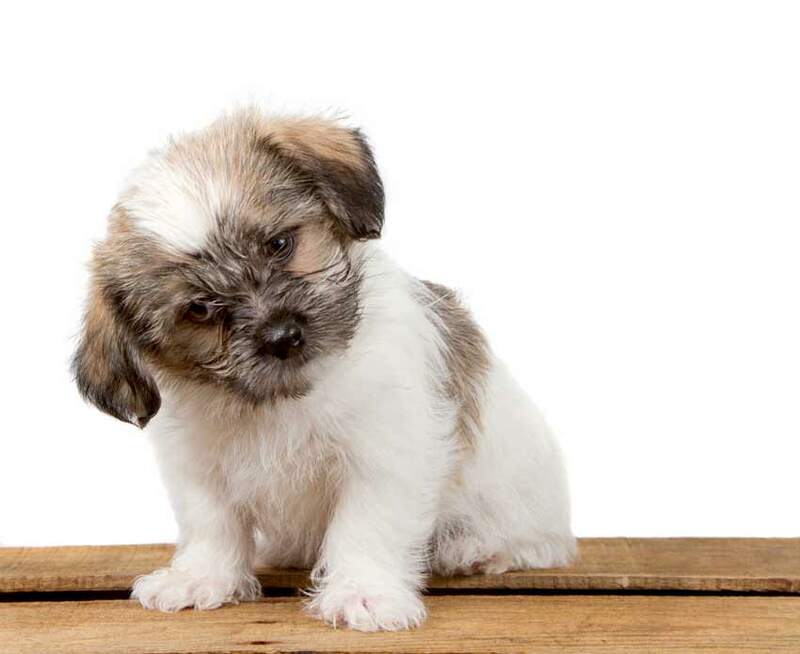 Repeat until your dog does not try to chew the puzzle (if ever – for some dogs, the chew allure may simply be too strong). Puzzle toys have become a hit as the savvy pet parents’ go-to entertainment of choice. 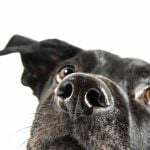 When properly presented, dog puzzles build new neural connections that actually make your dog smarter, burn more caloric energy to keep the weight off, provide rewarding “work” to do for pups that need a job and keep bored or lonely dogs occupied while you are away from home or simply too busy to play. NextChoosing Dog Toys: Ever Thought About Making Your Own?